A string of protests by animal-rights activists appear to have culminated in a double murder at a wolf lab, which releases into the wild a rare animal: a blue wolf. To the Ojibwa a blue wolf means luck; but if captured or killed, Armageddon. Grady Service. "This second Woods Cop procedural is well written, suspenseful, and bleakly humorous while moving as quickly as a wolf cutting through winter woods. 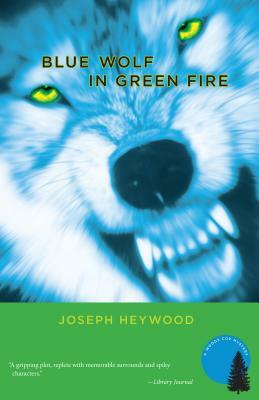 In addition to strong characters and a compelling romance, Heywood provides vivid, detailed descriptions of the wilderness and the various procedures and techniques of conservation officers and poachers. The tricky, evasive behavior of federal officials recalls the atmosphere of The X-Files, while the police procedure and banter evoke K.C. Constantine’s Mario Balzic series. Highly recommended."